After listening to Benjamin Allbright’s interview on The This is The XFL Show podcast. 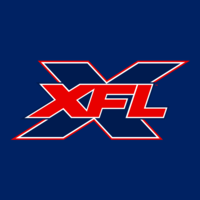 He mentioned an intriguing name in passing, that I think could be a possibility for The XFL. Pulaski Academy Head Coach Kevin Kelley. One of high school football’s most winning and famous coaches. He’s the coach that never punts, goes for onside kicks regularly and runs a multitude of trick plays. It would be a crazy hire. Despite Kelley’s winning background. He does however fit the criteria that the XFL is looking for in innovators. As reported by Benjamin Allbright. If the league is going to have a lineup dominated with established college and pro football coaches. Perhaps they can make some waves by going outside the box with a hire or two. Kelley fits into that category. He coaches in Arkansas and has ties to Texas. Would The XFL even consider hiring him in Houston. They might have to bring back The Gamblers name just for him. I would be open for anything that will give some other coaches besides NFL retreads a chance. The XFL needs names, but also innovators and those who "reimagine the game". It’s nice for the coaches to have unique individual coaching personalities. Something I liked about the original USFL. Like The Gamblers were a wide open spread em out type team. The run and shoot. Having a league with the same kind of coaches and schemes is too uniform. I am all for some variety.